The laws of nature and physics are a unique and exotic species in the pantheon of scientific discovery. While the First Law of thermodynamics deals with immutability and the Second Law with irreversibility, the Constructal Law defines the universal morphology of energetic flows. The Constructal Law of natural evolution was discovered in 1996 by Adrian Bejan, a Romanian mathematical genius who immigrated to the US, studied at MIT and rose to become J.A. Jones Professor of Engineering at Duke University. At a conference in the 1990s, he realized the logical flaw in the concepts of the preeminent thermodynamics expert of the day. The Constructal Law was formulated during the airplane flight home. 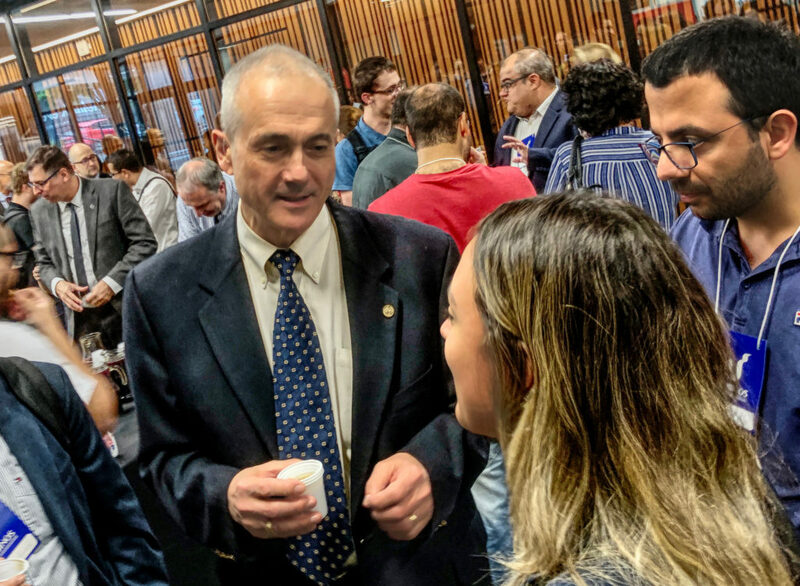 The Constructal Law Conference 2019 marks the latest of a series of 15 seminal conferences bringing together a growing international group of scientists, engineers and artists to further understanding of the implications of the Constructal Law and the Second Law of thermodynamics. 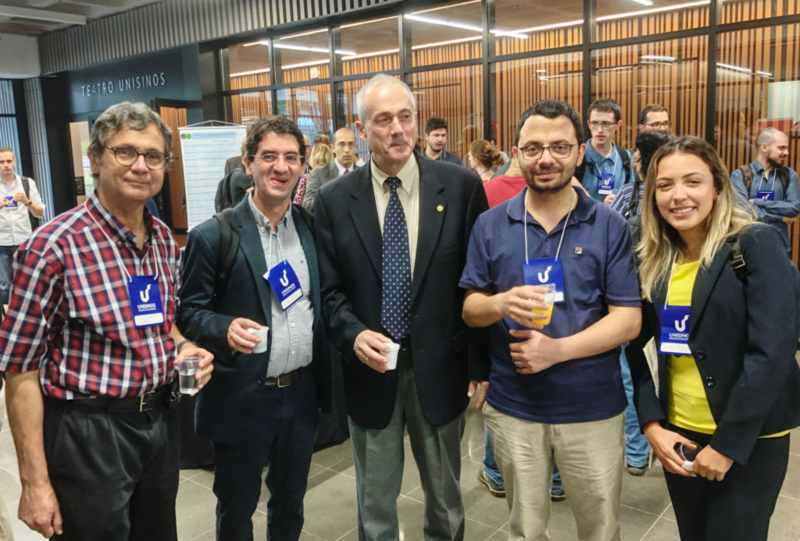 120 participants from 11 countries gathered at UNISINOS, the University of Vale do Rio dos Sinos, in Porto Alegre, Brazil. Topics ranged from the engineering of micro-channels in fuel cells to intra-cellular biology, human resources, power generation, aeronautics and art. Presentations covered the spectrum from engineering to biology, aeronautics and art. 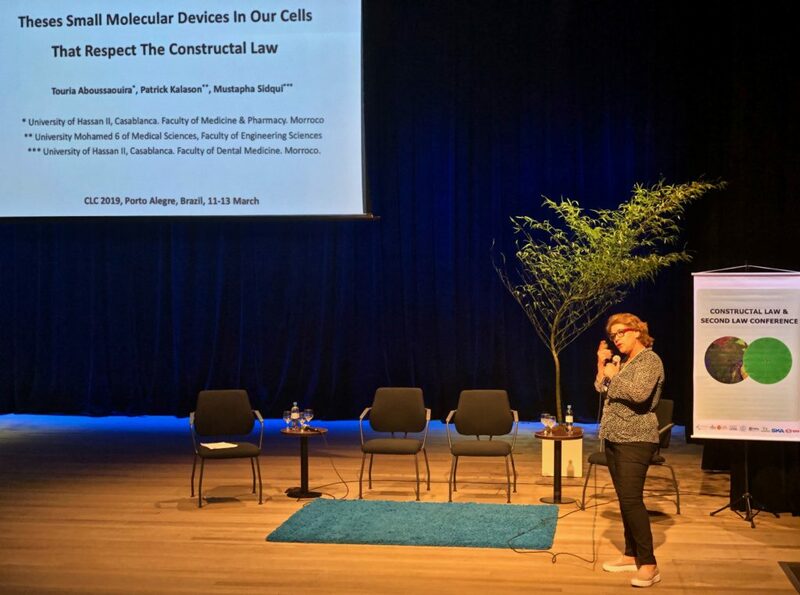 Here, Touria Aboussaouira, from the University of Hassan II in Morocco describes how the Constructal Law governs the operation of molecular biosystems within biology. For that most valuable and increasingly rare form of human discourse, face to face discussion, the organization and environment are equally important to the content. 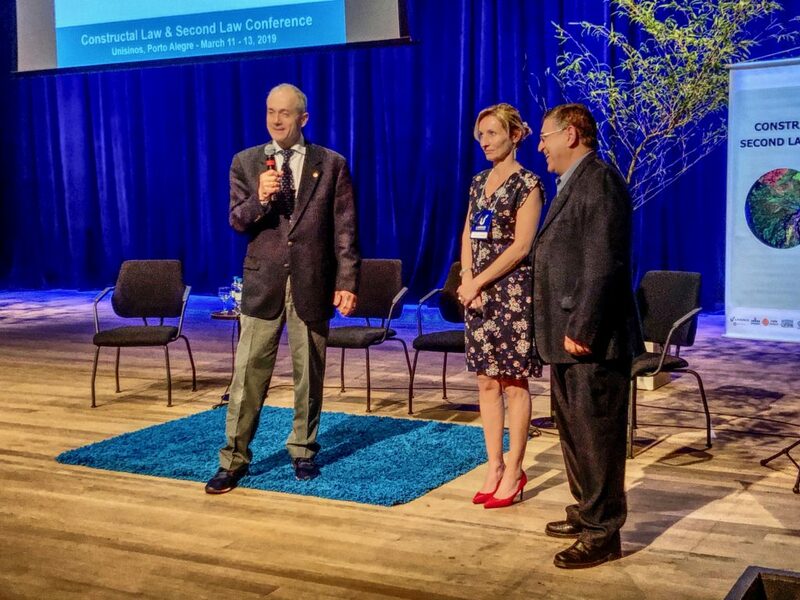 Under the able direction of Luiz Alberto Olivera Rocha at UNISINOS and Sylvie Lorente, long standing contributor to and supporter of the Constructal Law, along with their organizing committee, the CLC 2019 created an excellent mixture of information and informal contact for the participants. Many new friendships were formed and ongoing collaborations created. UNISINOS also deserves special mention for contributing to the success of this conference. Their outstanding modern facilities and professional staff created a welcoming and supportive environment for all who attended. The auditorium was state of the art comfortable, coffee breaks were graced with delicious snacks and the flawless and flexible audio visual support engineers were among the best that this veteran conference attendee has ever seen. A fundamental advance like the Constructal Law might be created in an historical instant, but it can take years, if not generations, to spread throughout the wide fields that it populates. This CLC 2019 conference marks the entry of the Constructal Law community into the modern networked age of WhatsApp and instantaneous global networking. The wonderful Doris from UNISINOS not only conducted a splendid tour of Porto Alegre, but set up and manages a WhatsApp group to help maintain contact among all the participants. Thanks to Doris and others, a thriving online community of participants has been established, ensuring more rapid spreading and evolution of the Law. Everyone involved with CLC 2019 can be proud of their accomplishments. We are all looking forward to the 2021 Constructal Law Conference in Hong Kong and very productive progress in the meantime. One can only hope to see more frequent such meetings, perhaps focused on specific aspects of the Constructal Law.